Nuit Blanche 2009, which will take place on the night of October 3 from sunset onwards, looks to be excellent again this year. Perhaps more serious than past years, many of the pieces are designed to make you consider the meaning of your surroundings. With more performance-based work than previous years, there are lots of ways for you to get involved with art. For the Nuit Blanche 2009 website, please click HERE. The choreographer extraordinaire Susie Burpee presents a twelve-hour dance to the life of ideas and the death of philosophers as told by the living philosopher Simon Critchley in his The Book of Dead Philosophers. Twenty-four dancers each dance with a boombox that emits passages from the book, and nearly two hundred philosophers die. Hot young Vancouver artist Geoffrey Farmer was inspired by English mathematician Ian Sommerville and Canadian mystic poet Brion Gysin who, in the 1960s, devised a stroboscopic machine capable of inducing hallucinatory visions to those who sat near it with their eyes closed. Visitors will enter the church and listen to an organ soundtrack with their eyes closed, while stroboscopic machines create hallucinations in their mind. This performance looks incredible. From the stage, the audience will view performers playing 30-metre long piano wires stretched across the interior of Massey Hall. 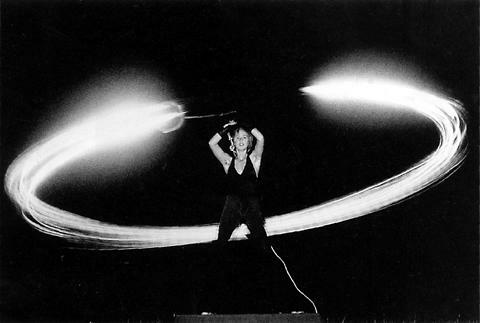 Performers will create changing harmonics by pulling vibrating electrical coils along the strings. These vibrations are transmitted through a surround-sound speaker system encircling the hall. These two early works by the legendary artist will be presented as a video and audio installation on the Canadian Tire billboards. This is sure to be worth seeing. 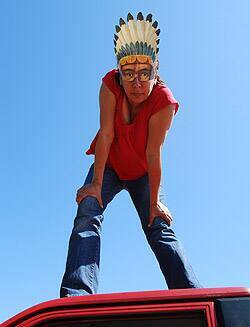 Belmore, whose work seeks to give First Nations Canadians a voice, presents an artistically rezzed-up pickup truck that drives slowly around downtown. Decked out in “traditional” pow-wow regalia, the truck features ongoing drumming and vocals, and a dancer that erupts into action at unsuspecting moments. Over the course of the night, the rhythms and intonations of First Nations culture reverberate against office buildings and re-territorialize the financial district. Not to be missed. This timely re-staging of the iconic Canadian artist’s 1973 event draws an eerie connection between the 1970s era-defining recession and today’s market meltdown. Monopoly was patented during the Great Depression, and gains new relevance with every boom-and-bust cycle. Gather round as Toronto celebrities – including developers, apparently – play the iconic real estate board game throughout the night. Public toilets are filled with unlikely materials and scents, their aromas conjuring up landscapes, characters and events from Lewis Carroll’s classic fantasy and logic-twister Alice’s Adventures in Wonderland. Rather than journeying down a rabbit-hole, visitors engage in their own adventures by just opening the door. Visual, textual, and olfactory clues may coalesce – or not – posing evocative sensory conundrums to ponder and explore. But we can say that Sierra is known for offering prostitutes and poor workers token amounts of money in exchange for tattooing straight black lines down their backs. A few years ago, he filled a German synagogue with car exhaust, transforming it into a gas chamber to protest society’s desensitization to the Holocaust. So it should be intense. BICITYCLE (Bike-city) is a project about mobile life. 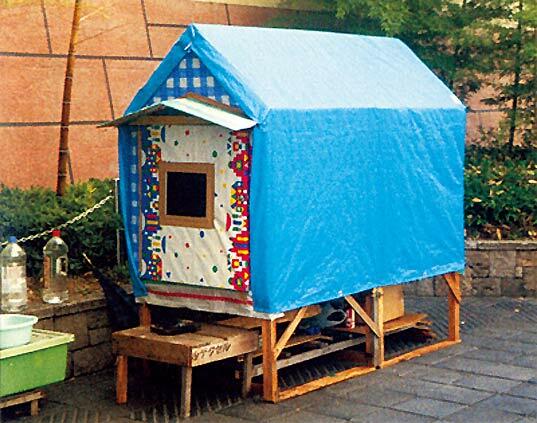 In Japan, the houses of the homeless are easy to dismantle and remake because people are forced to move their houses. They separate the infrastructures: water, gas, toilet, and electricity. The houses are made from the scraps of the city. For Nuit Blanche, the artist will create 11 mobile housing units, each attached to a bicycle. The audience can interact and relocate the works within the area. D.A. Therrien’s Beautiful Light: Four Letter Word Machine will shine four-letter words from giant light sculptures suspended at City Hall. 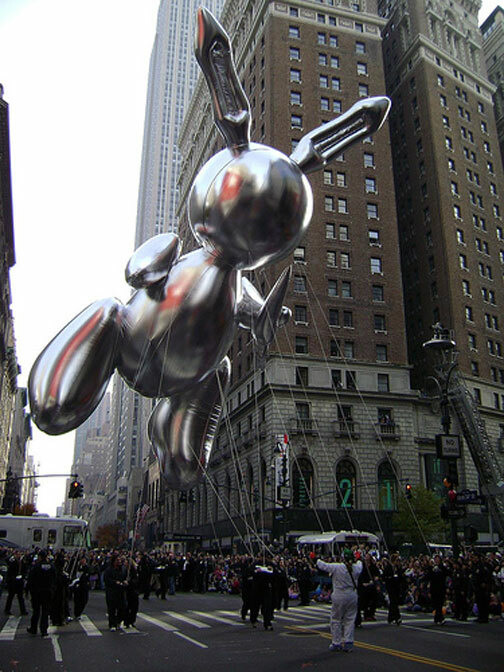 Jeff Koon’s 53-foot-tall silver helium balloon sculpture, “Rabbit” from New York’s Macy’s Thanksgiving Day Parade will be on view at the Eaton Centre. Thank you for the great recommendations. It always helps. I would love to sneak in a pick of my own. Battle Royal by Shaun El C. Leonardo Zone A, performance where art and pop culture mix together. and viewer can throw himself right in the middle.